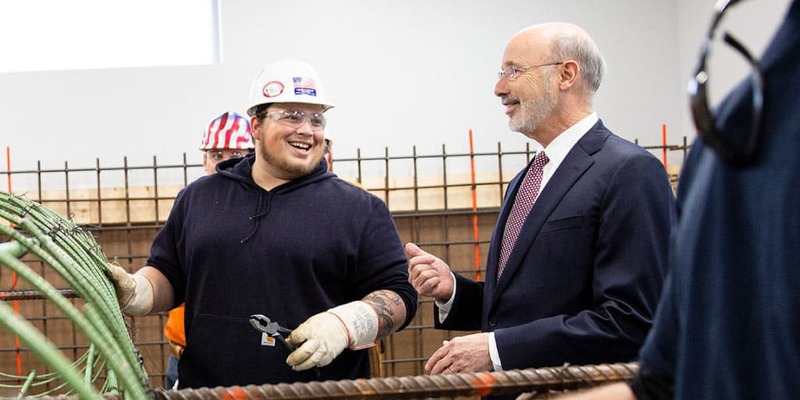 This month, Governor Wolf announced more than $2.6 million in federally funded Business-Education Partnership grants to 22 local workforce development boards. The grants will connect businesses and schools to provide students with soft skills, internships, workplace shadowing, and mentoring opportunities. Elk and Potter counties will see the creation of 41 new jobs through the expansion of Morgan Advanced Materials and Technologies, Inc. The more than $1.6 million expansion will create the manufacturing space to meet a growing demand for materials used by military and law enforcement. The governor also announced nearly 80 new jobs through the expansion of CorrChoice LLC. The producer of industrial corrugated paper packaging products will expand into a facility in Derry Township at the border of Dauphin and Lebanon counties. This year, Governor Wolf and his administration recommitted themselves to core Pennsylvania values: schools that teach, jobs that pay, and government that works. In the last four years, Governor Wolf prioritized middle-class jobs and supported high growth industries. During the governor’s first term, Pennsylvania added more than 200,000 jobs and set an all-time record with more than 6 million jobs in the commonwealth. In addition, the state added more than 12,010 new businesses establishments. In 2019, he will continue to support efforts to combat the gender wage gap, raise the minimum wage, and make investments in job training to produce a highly skilled workforce. Minimum wage workers in 20 states got a raise on New Year’s Day. Pennsylvania workers deserve one, too. • I’ll keep fighting for a higher minimum wage, but we can’t get it done without action from the legislature. Tell your legislator to #RaiseTheWage. 🗓 January 7, 2019 | 📍Pittsburgh • All across the commonwealth, organizations like Iron Workers Local Union No. 3 are training Pennsylvanians for good jobs in growing careers. In my second term, we’ll continue to strengthen our economy by investing in Pennsylvania’s workforce.